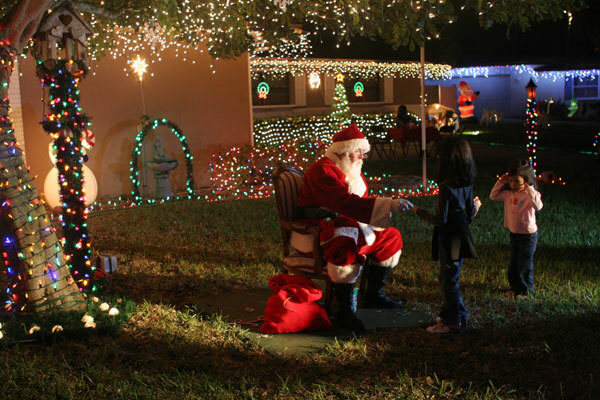 If you buy a house on Verbenia Ct in Satellite Beach, Florida, be prepared to keep up with those with a Jones for Christmas. 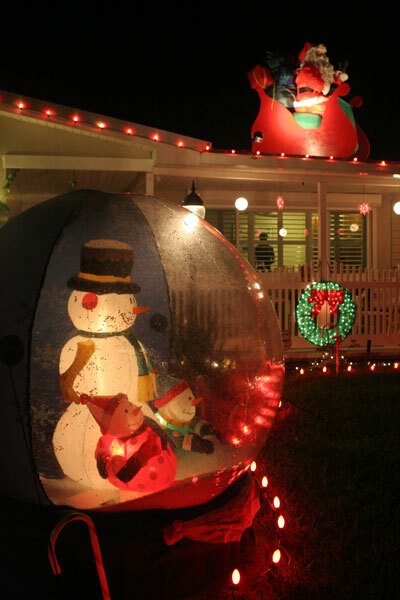 Every house on this cul de sac block goes all out for the holidays. 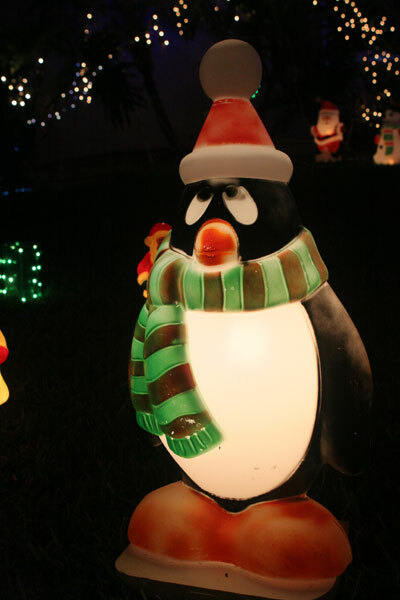 On Christmas Eve, cars line up to parade past homes with inflatable lawn ornaments and thousands of lights. 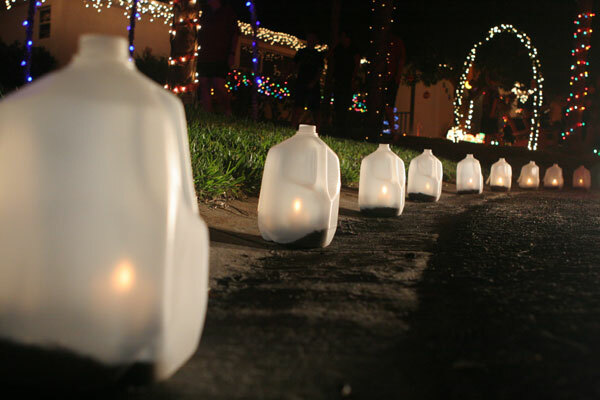 Milk jug farolitos lined the streets and Santa greeted children (even though NORAD had him flying somewhere over Iceland at the time… seems like this dude is everywhere). 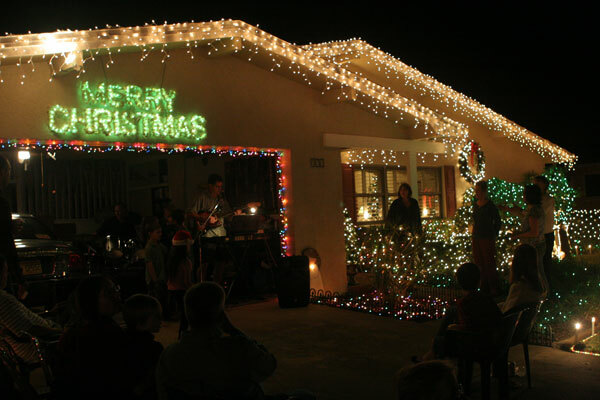 One house even had a band playing doo-wop versions of Christmas carols in the garage. There was a sleigh with Pooh Bear and Tigger being pulled by Eeyore. 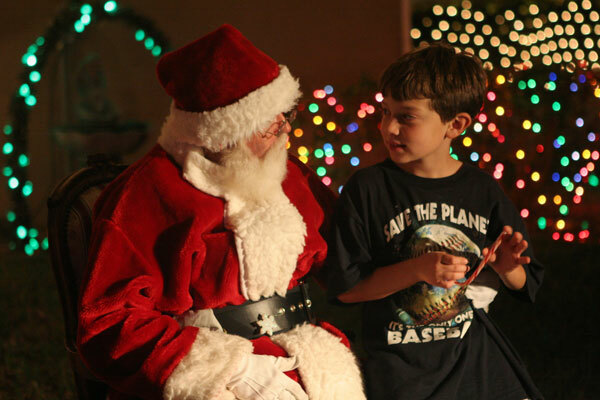 A Homer-Claus and a reindeer stuffing (and pulling) Santa from a chimney.